NNelson Mandela International Day commemorates the lifetime of service Nelson Mandela gave to South Africa. It’s celebrated each year on Madiba’s birthday, July 18. Mandela Day was officially declared by the United Nations (UN) in November 2009.The day is not a public holiday but rather a day of service to others. Mandela calls on all of us, every day, to make the world a better place. Making every day a Mandela Day celebrates Madiba’s life and legacy in a sustainable way that will bring about enduring change. NNelson Mandela appeared in a Spike Lee film. He has a cameo in 1992’s Malcolm X as a teacher reciting one of the civil rights activist’s speeches. LLast year’s hashtag, #RunForUnity embodies Mandela’s vision of a unified country that belongs to all that live in it, irrespective of race, gender and culture. 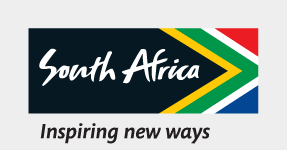 Not only does the race unify South Africans but it unifies Africa as people of all nationalities take part. The race compromises of three events: the 42.2km race, the 21.1km race and the 10km race. All three races end in Howick where Mandela was captured by police whilst disguised as a chauffeur. Sweat it out on race day and make your trip worthwhile by exploring the Kwa-Zulu Natal (KZN) Midlands and its surrounding areas. Pass by Pietermaritzburg and visit Butterflies for Africa. It is home to a tropical butterfly centre where visitors walk amongst butterflies from across the world in a lush tropical environment which also houses fish, birds, monkeys and other critters. Guides ensure that this is a fun and educational experience. So let loose and surprise yourself with all that the Midlands have, to offer.